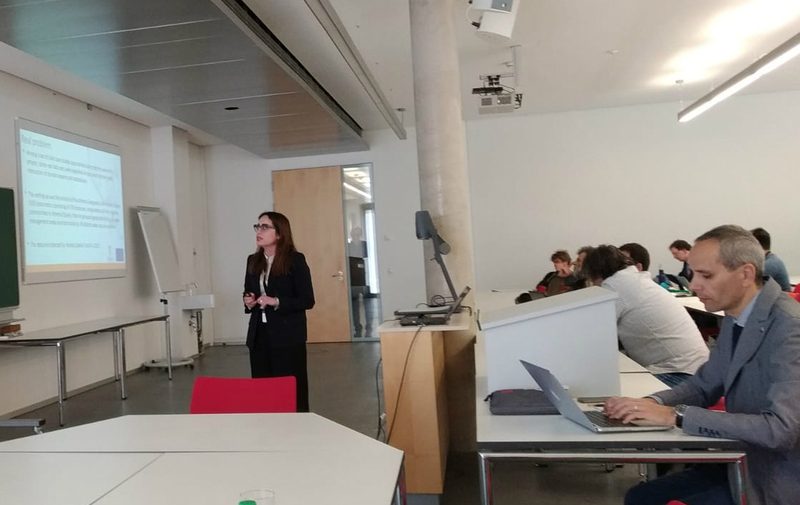 MAGIC's UNINA team (Carmela Iorio and Roberta Siciliano) organized and chaired a double special session on “complexity, data science and statistics through visualization and classification” at the European Conference on Data Analysis (ECDA 2019), Bayreuth (Germany), 18-20 March 2019. In line with MAGIC's quest to find new ways to tackle complex policy issues at the nexus between water, energy and food resources, this special session highlighed the importance of visualization and classification tools for a more robust understanding of the Nexus. Complexity is not only referred to as data dimensionality but also as the variety, the structure, the knowledge discovery process and fundamentally the statistical modelization. Examples of visualization storyboards presented include integrated multi-metric Sankey (applied to Scottish agriculture) and spatially-weighted regression trees (applied to irrigation in Almeria, Spain). Other topics included data ranking and clustering procedures. The presentations of UNINA's MAGIC team at this special session are available in the document repository of our website. The book of abstracts of the conference presentations is available on line.